Every aspect of the student experience matters. Your students, on-campus and online, likely access a learning management system (LMS), such as Blackboard, Canvas or D2L for their courses. Have you thought about the best and most cost effective way to provide helpdesk support for them? More and more institutions are realizing there are numerous benefits to outsourcing their helpdesk. Doing so can make sense from a budget, staffing and quality perspective, as long as you select the right partner. The following outlines the benefits of outsourcing your helpdesk and the questions to ask when selecting a potential partner. 1) Reduce staffing challenges– Your IT staff probably treasures its time off, especially when it comes to weekends, evenings and nights. But that is often the exact time that your students are logging in to the LMS to complete coursework. It’s important that your helpdesk staffing aligns to the needs of the LMS user. Unfortunately due to the timeframes this needs to happen, you can risk burning out your staff. You don’t have to worry about the fluctuations in staffing levels that take place during the academic year. You can also let your IT staff enjoy their evenings and weekends and not have to worry about assigning someone to cover those timeframes! Does your potential partner offer extended support hours that cover weekends and hours outside of the typical business day? Can they cover your time zone in a satisfactory manner? 2) Support users as the LMS evolves– How sure are you that your institution will not switch your LMS? Even if there is no plan to change your LMS, it’s likely that the current LMS will build out features and functionality that will impact the user experience. If your institution is using more than one LMS, this becomes an even more complex problem. Your internal helpdesk needs to be prepared for these scenarios. It’s not easy keeping up the changes to the LMS or planning for adopting a new LMS. Whether it’s changes to the existing LMS or a change in LMS being used, you don’t have to spend valuable time getting your IT/Helpdesk staff trained or re-trained on an LMS as the LMS evolves, especially if there are multiple ones being used at your institution. Does the partner have expertise in multiple LMS? How deep does their experience go? 3) Free up time to dedicate to other IT needs –Your plate is already full. There are so many demands on the time and resource of an institution’s IT department. The IT department, probably more than any other at an institution, has to interact with and support every group within the college or university. Further complicating the matter, LMS support can be a high volume need, putting a strain on your IT staff. The time that had previously been spent on supporting a high volume need is freed up and can now be reallocated to better supporting other critical areas of IT support needed across your institution Does the partner provide a turn-key solution or will there still be a heavy lift required from your IT staff. 4) Provide a dedicated support structure for the LMS – In order to reduce the time it takes to resolve an issue a student or other user of the LMS may have, you need to tailor your support structure around the support of the LMS. The problem is that you are probably not only responsible for supporting just the LMS. 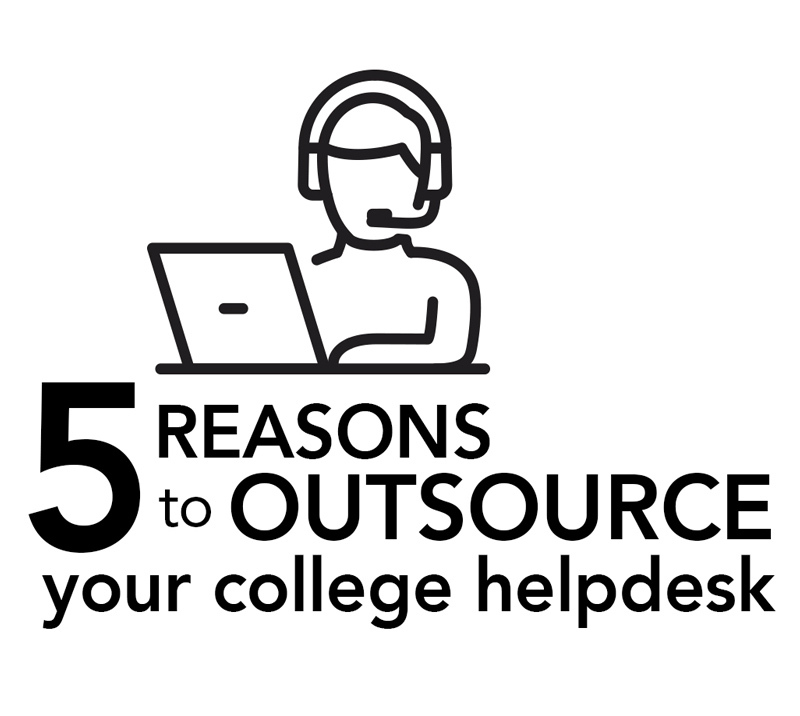 Are your students using the same phone lines to contact your helpdesk and creating a longer wait for those with other IT support needs? The LMS is such a critical component to the student experience that it is important to provide the highest level of support, but in doing so are other areas suffering? Is the current system chewing up your resources – staff, phone lines, and ticketing system. So other areas are not getting the attention they deserve or maybe you are unable to create a dedicated support structure and your LMS users are not getting priority support they need. Dedicate a support system and structure to provide streamlined support to the users of the LMS without sacrificing the level and quality of support you provide to other key areas. Does the partner provide a dedicated means to support your students? Will the access point and other support resources be branded for your institution? How else will the support be personalized to the needs of your institution and LMS users? 5) Enjoy a significant cost savings without sacrificing quality– Budgets are tight and that is not likely to change. Costs increase as you consider the benefits (such as health insurance, PTO, etc.) that are provided to your full time and even part time staff. Maybe you have part-time workers in place to staff the helpdesk responsible for LMS support, because that is a lower cost to your organization than employing full time staff. But does that provide you with enough hours to cover this high-volume area? Provide an expanded level of support to a large user base without having to take on the cost of recruiting, staffing or providing professional development focused around LMS support. How much is it currently costing me to staff my IT team for my LMS users? How much turnover is expected on my team, how will this impact my budget? If you are interested in learning more about the benefits of outsourcing your helpdesk support for your LMS users, contact us today! Just pick up the phone and give us a call. We’ll answer any of your helpdesk questions. Starting an elearning journey? Let us help you navigate the terrain.